Indeed Germany and Indeed Netherlands have over 50 million unique visitors per month. Summary: Indeed is now a subsidiary of a Japanese group (Recruit Holdings Co.), but it was originally founded in 2004 by two Americans: Paul Forster and Rony Kahan. Back then, it was just a search engine (with no possibility of placing a job offer or applying to one) but now, Indeed is the leading job board in the world, present in 60 countries and in 28 languages. 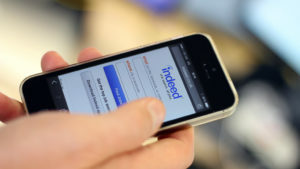 Indeed optimizes its simplicity with no images, just clear information to help you find a job or post one. The German version has 1 715 765 followers on Facebook and 8 797 followers on Twitter. However, it only receives 139 840 visits per month, which is much less than the main website. Design: The homepage consists of the familiar blue logo and a search engine (what and where). Below that, recommendations and past searches mount up the more you use Indeed which makes it easy to know if new offers have been posted in your industry. Before that, you can see popular searches. To access the listing, a keyword is required. Once on the listing page, the filters include the job type (hours), the location, the company and the job title and the offers can be sorted by relevance or date. Unlike the American Indeed, there aren’t always statistics on the salaries next to the job offers. If you click on an offer, the rest of them remain visible next to it. There are no company logos but there are customized company pages that you can also choose to browse through. 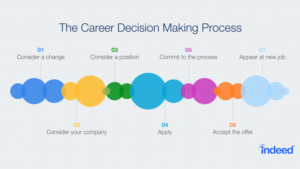 As for how you structure your job offer, there is a lot of freedom. The job offers: According to the website, there are 124 687 new job offers this week. You can find all kinds of jobs on their job board. Reactivity: Indeed answers very quickly on their chat support. If you have questions, you can e-mail, phone or chat. You can even contact them on social media. Special features: Job alerts; job ratings; job offer ratings; average salary information (sometimes); the blog; the Youtube videos. Verdict: No need to say it, Indeed is a clear winner as far as job boards are concerned. You have every kind of job in one place. However, you are better off looking for a more popular local job board in Germany.